Juanita Gonzales was born into Taos Pueblo in 1909. She married Louis Gonzales of San Ildefonso Pueblo in 1933 and moved there. She learned the fundamentals of making pottery from Rose Gonzales, her sister-in-law. Juanita generally produced carved blackware and redware wedding vases, bowls, jars and plates. 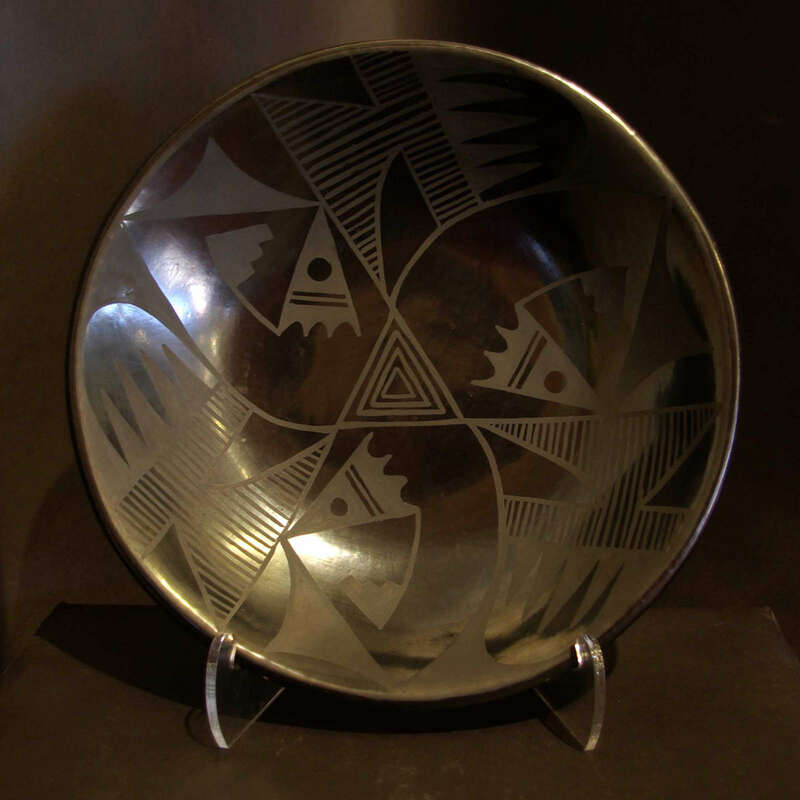 She made pottery from 1933 until 1982 and shared a booth at the Santa Fe Indian Market with her daughter Adelphia Gonzales Martinez from the mid-1970's until the early 1980's. She died in 1988.